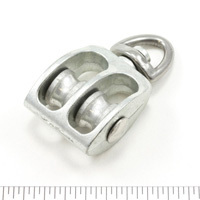 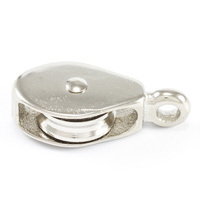 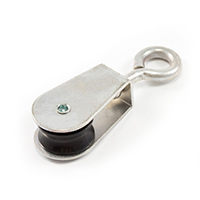 These swivel eye pulleys are typically used for hoisting awnings and shade sails that use rope or cable wire to install. 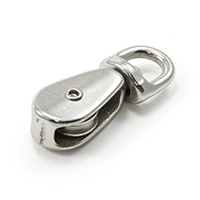 They come in high-grade iron, aluminum, and stamped steel. 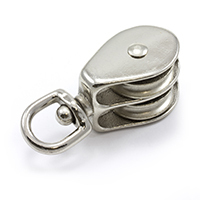 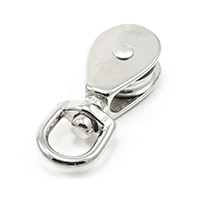 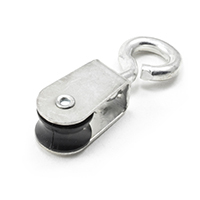 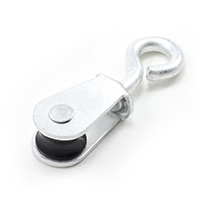 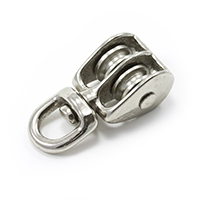 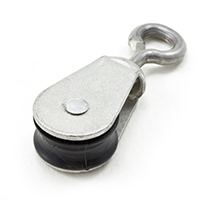 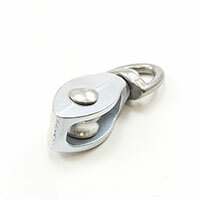 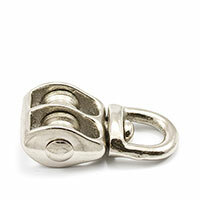 Other than awnings, the pulley system components are suited for many other lifting and rigging purposes. 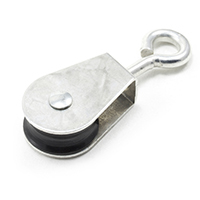 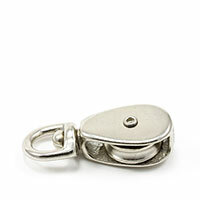 Durable and easy to use, the swivel provides flexibility in rotation while staying fixed to the mounting surface. 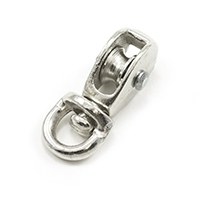 The awning hardware can be affixed to an existing wall plate, bolt, or other fastener. 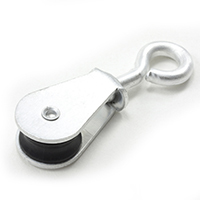 They come in single, double, and plastic sheave swivel eye pulley options.